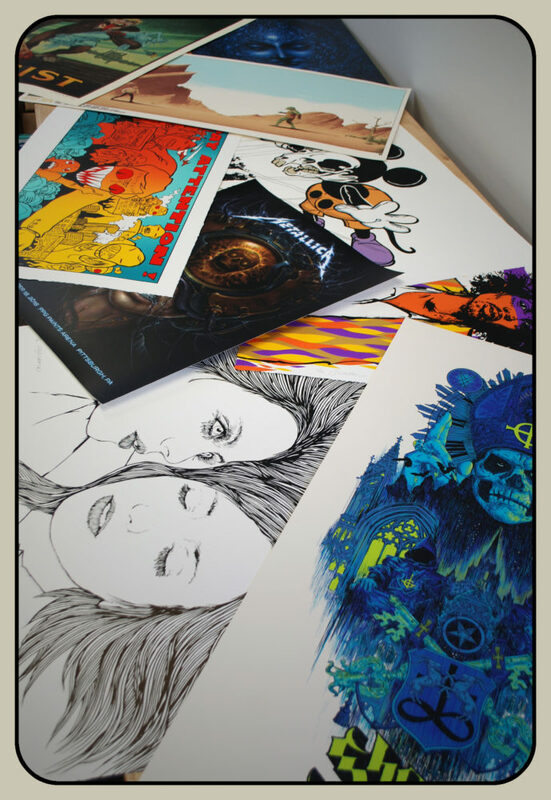 The team at Lady Lazarus specialize in quality flatbed screen printing for fine art editions & collectible film and music posters; providing a range of production and fulfillment services for the art & music industries. The print studio was founded in 2012 by master printer Isaac Menge after leaving his previous positions as a founding partner at Night Owls Print Shop (Houston, TX) & Pedal Printing (Buffalo, NY). Drawing from his past industry experience, Lazarus was opened to better serve the international arts community through the production of high end limited editions. New print work is being produced daily and distributed worldwide from Houston Texas. In 2018 Lady Lazarus was honored to receive multiple Golden Image Awards from the SGIA (Specialty Graphic Imaging Association) including a Gold and Honorable Mention in the category of Fine Art. Gold and Bronze were awarded in the category of Posters. Later in 2018, Lady Lazarus founder Isaac Menge was named one of six in the inaugural 2018 Rising Stars Awards by Screen Printing Magazine.